My first experience of the works of J.R.R. Tolkien was at the age of ten or eleven and through the imaginative classes of a teacher whose name has long since left me (Mister Richmond?) but whose influences have long remained behind. Every Friday morning for an hour or so he would read from Tolkien’s children’s book, The Hobbit, to a spell-struck room of otherwise unruly Irish school kids. A native of Belfast he breathed life into the storytelling with an actor’s vigour (he was also a talented artist) that kept us in rapt attention. As far as I remember he began reading to us at the start of the school term in a warm autumnal September until the tale reached its culmination at the Christmas break amidst a chill and blustery December. I have a distinct recollection of listening to the adventures of Bilbo Baggins and his dwarfish companions and then going out with my friends to our lunchbreak, playing between the gale-driven curtains of sand on a beach which seemed to go on forever (my primary school was a vast, many-passaged Victorian pile on the edge of the sea, its playground the dunes and seashore that lay around. It’s now the site of kitsch Spanish-style holiday villas and apartments for Dublin’s would-be elites – or what’s left of them in these depressionary times). Thus began a life-long love affair with the legendarium of Middle-earth and a world that in my youth felt as familiar to me as any earthly location. Coming from an Irish background, where legend and history seemed to be bound up with every field and hill, Tolkien’s tales were no different in tone from the stories my mother or teachers had to tell of “Old Ireland”. Celticness and Tolkienesque seemed an almost perfect match. Ironically as I grew older and read more I learned that J.R.R. Tolkien’s works had begun life as a “mythology” for England: the desire of an English-parented immigrant born in British-ruled South Africa to give to his adopted English home a “national” tradition of myth comparable to that of the Greeks or Romans, the Scandinavians or Finns. “With the publication his epic story ‘The Lord of the Rings’ (LTR) in the mid-1950s, or more correctly the success of the US editions in the 1960s, J.R.R. Tolkien became the Fantasy author, and LTR the Fantasy series, against which all others were measured. Everything that came before, and much that came after, fell into insignificance or obscurity. In fact there were earlier and arguably better works in the Fantasy genre than Tolkien’s, and others that drew upon the same sources of inspiration as he did and with similar or sometimes superior results. After all Tolkien’s original aim when he began writing his legendarium (as it is now styled) was to recreate a mythology for the English people to rival those found with their Scandinavian and German cousins, and to take its place amongst the Celtic, Finnish and Greek myths in the imagination and culture of late 19th and early 20th century European civilization. 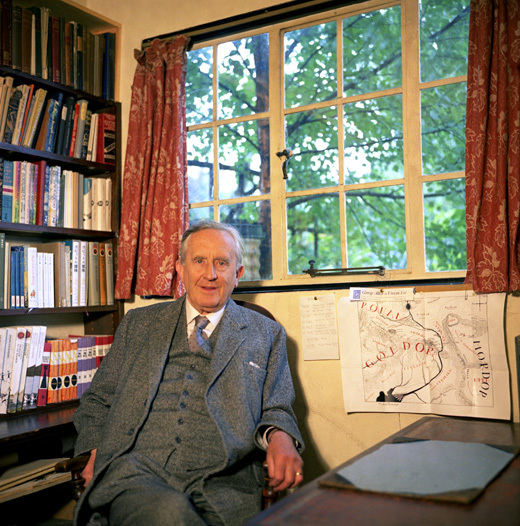 Tolkien was in some senses an English nationalist, though largely not an imperialist, and he was in fact part of the same cultural movement of folk-consciousness and ethnicity that swept Europe in the 1800s and early 1900s, and that in Ireland led to the twin movements of the Gaelic Revival and the Celtic Renaissance (and eventual Revolution). Pádraig Mac Piarais and W.B. Yeats would have found much in common with Tolkien’s celebration of the multiplicity of European identities. However for J.R.R. Tolkien the greatest problem was the lack of raw materials to build his English mythology upon. Writers in Ireland, Scotland, Wales and Brittany had a whole body of literature and folklore to draw from for inspiration in fiction, poetry and art. Similarly German, Danish, Finnish or Greek writers could likewise look to the past and find plenty of materials to inspire them. Unfortunately the English were not so lucky. The diverse nature of the Germanic immigrants to Romano-Celtic Britain (who in time were to become the English), the gradual conversion to Christianity, the Scandinavian-Danish invasions and conquests of the 10th and 11th centuries coupled with the Norman-French invasion and conquest of the 11th century, had rendered the idea of a distinctly English nation of England more of a modern political theory than a historic fact. J.R.R. Tolkien then did not so much recreate but entirely invent a mythology for modern England, one drawn partly from the few scraps of legend that had survived amongst the English people but much more so from the mythologies of the Germanic near-relatives of the English, with borrowed bits and pieces from places as far apart as Germany and Iceland. Into this was thrown liberal doses of themes and ideas taken from Irish and Celtic Mythology (both of which Tolkien had a strange relationship with), as well as bits and pieces from Roman, Greek and Finnish myth (the latter of which had effected him deeply in his youth). Being Irish, and an Irish Republican, it may seem somewhat incongruous to draw inspiration from the works of someone who was essentially an English nationalist writer. But it has never felt like that to me. For J.R.R. Tolkien, son of an English mother and father, was no different from that great Irish nationalist writer, son of an Irish mother and an English father, by the name of Pádraig Mac Piarais. Both began their experimentation with writing, and their love of the history and myths of their people, at the same time and in much the same way (and both “outsiders”, through a place of birth, parentage or religion, seeking acceptance?). But, whereas Tolkien became a respectable, almost establishment figure, Mac Piarais became a revolutionary, in every sense of the word and in every area of his life and ultimately paid the price for his beliefs – and in the process laid the foundations for the freedom of the greater part of his people and nation. Many years later, much to my dismay, I learned of J.R.R. Tolkien’s “peculiar” opinions about Ireland and the Irish; including our language and the vast body of indigenous literature we inherited. Of course it wasn’t simply an anti-Irish bias or anything as straightforward as that. Tolkien expressed a general dislike for all things “Celtic”. But the more one read the more it became clear that by “Celtic” he very much meant Irish. Ironically of course Tolkien was not so adverse to the Irish “punt” (or pound) and spent many years working as an external examiner for various Irish universities, which meant numerous visits to Ireland in the period from 1949 to the mid 1960s (with occasional ad hoc holiday trips around our island nation too – though significantly not to the British Occupied North). However he never got over his very “English” view of Ireland, a view perhaps best described in Winston Churchill’s infamous summation of British attitudes to the people of Ireland: “We have always found the Irish a bit odd. They refuse to be English”. Unlike Pádraig Mac Piarais, a man who progressed from a limited if cosmopolitan background to enjoy and celebrate all the cultures and ethnicities of contemporary Europe (including that of England), J.R.R. Tolkien remained very much man of his time and of his background. Though perhaps not an English nationalist in the sense of being a “Greater Englander” he carried with him the strange almost dualistic attraction and repulsion for the Irish borne by many English people of his era. Tolkien, a man conscious of the weight of “tradition” more so than most, would have been acutely aware that the Irish, more so than the French or even latterly the Germans, were the “traditional” enemies of the English since the English decided to make enemies of the Irish. Yet, as always with Tolkien, the paradox: he was a man who had at one time expressed some support for “Irish Home Rule” (or limited autonomy for Ireland within the then “United Kingdom of Great Britain and Ireland”). Many writers, scholarly and otherwise, have drawn attention to the obvious “Celtic strain” in the stories of Middle-earth, particularly in the earliest strata of Tolkien’s self-made myths. While he himself pointed to several diverse sources for inspiration, notably the ancient mythological cycles of Scandinavia and Finland, he frequently denied any Celtic influences and railed against those who dared to point them out. Preoccupied with creating a supposedly genuine mythological tradition for England (or “of England” as Tolkien expert Tom Shippey rightly notes) it later became clear that no “contamination” from the Celtic World, much of which England had displaced or oppressed, could be acknowledged. Tolkien was painfully aware of his Roman Catholic faith in an England which was intensely anti-Catholic (particularly in the first half of the 20th century) and both he and his family experienced sectarian abuse at the hands of others. The United Kingdom as a whole was not just anti-Catholic in its general culture but in the very institutions of the state itself (Roman Catholics are still legally prevented from becoming the British head of state while in the early 2000s rumours that the then British prime minister Tony Blair was contemplating a conversion to Catholicism led to an outbreak of sectarian commentary in the British news media). A fear of “guilt by association” cannot have been entirely absent from his mind. Just as the indigenous Arthurian stories of the Welsh were gradually appropriated and eventually rewritten as English legends of High Medieval chivalry for later 19th and 20th century audiences (and shorn of their “Celticness”) Tolkien borrowed heavily from the literatures of Ireland and Wales for his source materials, recasting them in a new form. It was a process he was readily familiar with from his study of Arthurian myths in Medieval English literature like Sir Gawain and the Green Knight or the “Celtic” influenced Sir Orfeo. In some of his earliest writings Welsh and Irish references were commonplace (in “foundation works” like The Book of Lost Tales and from many years later The Lost Road where the Tuatha Dé Danann, Fionntán, Maol Dúin, Tír na nÓg, Tír na mBeo and others peoples and places are mentioned as story ideas, as well as in poems like “Imram” – based on the Irish literary genre of the Iomramh); but as his own “myth-making” progressed and he became more earnest about his new “pre-history” of the English the acknowledgement of Celtic sources became subject to qualification. It’s a position best summed up by a significant exchange in a story from the Book of Lost Tales where a character proclaims that the English remember the true history of the Elves and the proto-Middle-earth while the Welsh and Irish tell “garbled” versions. Professor Tom Shippey is not the first to point out the obvious motivation behind those words. Is this also related, in some way, to the Irish Revolution of 1916-1923? Certainly the seismic shift in the politics of Ireland and Britain resulting from the majority success of Ireland’s War of Independence sent disruptive ripples throughout the social and cultural life of both nations. At the stroke of a metaphorical pen the very real “United Kingdom of Great Britain and Ireland” ceased to exist. To be a Roman Catholic in Britain at this time, even a respectable middle class academic and veteran of the Great War, was to be regarded with some suspicion in establishment or populist circles (and so it remains to some extent). More than one British politician or journalist voiced opinions in the early 1920s that portrayed some English Catholics as a seditious “enemy within”, while England faced another stereotypical “enemy without” (though in fact many leading activists in the Irish Revolution were of mixed faith: Anglican, Presbyterian, Methodist and even Jewish). This climate of anti-Irish prejudice was to be given renewed vigour in the mid 1930s and ’40s when relations between Ireland and Britain sank to a new post-independence low: first by the dismantling of the Irish-British Treaty of 1921 which originally brought hostilities between both nations to an end, then the destructive Economic War of 1932 to 1938, and finally Irish neutrality during World War II. It is doubtful that Tolkien was untouched by this, however cloistered he may have chosen to be in his academic world, not least with members of his own family and circle of friends and colleagues participating in the war effort. Though J.R.R. Tolkien professed on several occasions his preference for “Englishness” above or indeed instead of “Britishness” this did not mean he was isolated from the times he lived in. His interest in the myths and legends of Ireland eventually came to an end; but not before they left their indelible effect on his imagination. When later queried over the contradictions in his writings between obvious Celtic influences and publicly professed animosity to all things Celtic (or rather more specifically Irish) Tolkien did not always respond in the measured or thoughtful tones that characterised so much else of his correspondence. From his own letters we can judge his views on various Celtic and Irish matters. Like many contemporaries he seldom referred to Ireland as “Ireland” using instead the antiquated (and often British nationalistic) term of Southern Ireland or Éire (which, of course, is simply “Ireland” in the Irish language and the official name of the island nation in that language, which he must have surely been aware of). Taken together one would certainly be left with the impression that J.R.R. Tolkien had mixed feelings about Ireland, while acknowledging being a frequent visitor to the country. In fact he goes out of his way to stress that he didn’t visit Ireland until after the Lord of the Rings was written. What made him emphasise his relative lack of empathy for certain aspects of Ireland and Irishness, and above all the Irish language, while elsewhere clearly expressing his fondness for the nation? And why note that the Lord of the Rings, the most public expression of his by then much-changed mythology for England, was completed before he ever set foot in the country? Perhaps he was already worried that enquiring readers and critics would see more of Ireland in his legendarium than they would of England? Or perhaps his views were even more complex than that? “Professor Sayer: I’ve gone for one or two walks with Tolkien, and he did talk to me about natural scenes he visited. One of the things I noticed, which surprised me from the start, was the way in which he regarded certain natural scenes as evil. This came up most strongly after he’d been examining in order — that is to say classifying students in an Irish University according to their achievements in the English language and literature. He described Ireland as a country naturally evil. He said he could feel evil coming from the earth, from the peat bogs, from the clumps of trees, even from the cliffs, and this evil was only held in check by the great devotion of the southern Irish to their religion. This was a very strange view, and was not one I could even have guessed. So did Tolkien’s alleged wariness of Ireland (and its language and at least some of its people) go further than mere envy for a country that had retained a “national tradition” that his own had long since abandoned? Driven by jealousy did Tolkien allow the anti-Irish prejudices of his English homeland to influence him? Or could all this have been something as simple as Tolkien the philologist and linguist resenting his claimed (and rather strange) inability to master the Irish language? And everything else stemmed from that? In the published Lord of the Rings there is certainly some echoes of the real world reflected in Tolkien’s imaginary version. One of the most debated peoples in Middle-earth are the Dunlendings, the Wild Men of Dunland, and the remnant of a once much more widespread race in Middle-earth. Generally presented in a disparaging light by the author they originally occupied the lands later possessed by the Rohirrim – principally the kingdom of Rohan – until displaced by the latter and driven into barren and desolate regions. Interestingly Tolkien stated that the language of the Rohirrim was consciously modelled on Old English or Anglo-Saxon while that of the Dunlendings was given a distinctly “Celtic” feel. The analogies with the history of the island of Britain are all too obvious. The Germanic tribes who invaded 5th and 6th century Britain in the aftermath of the collapse of Roman rule in the country (and who eventually amalgamated to become the ancestors of the English) find a ready equivalent in the Rohirrim. Similarly the indigenous Celtic peoples of Britain (the ancestors of the Welsh and Cornish on one hand and the Scots on the other) driven from their lands into the so-called “Celtic Fringe” unfortunately correspond to the Dunlendings. The analogy can be taken even further if one sees the original unwelcome rule of the Kingdom of Gondor over the native Dunlendings in a province the Gondorans called Calenardhon in a similar vein to the rule of the Roman Empire over much of the Celtic peoples of Britain in a province they called Britannia. When Gondoran power collapsed and withdrew from the region they settled the Rohirrim as allies in the lands they had vacated placing them over the indigenous “Wild Men” creating the kingdom of Rohan. The antecedents of the English made very similar claims for their right to be in Britain, invitees of the failing Roman Empire rather than alien invaders. Is all this coincidence? Perhaps. However given J.R.R. Tolkien’s nature and his careful use of the mythologies and early histories of Western Europe for ideas it is unlikely that he was unaware of the obvious analogies here. We know that Tolkien sought inspiration for his artificial Elfish tongues in the Welsh language and took some effort to try and capture the look and feel of Welsh in the Sindarin form of Elvish speech. This was coupled with his well known support for the language in contemporary Britain (in one sense he rejected the characterisation of the English as “British”, seeing the Welsh as the true inheritors of the title. An extraordinarily generous attitude for someone of his background). So it would be unfair to characterise Tolkien as simply an anti-Celtic English chauvinist. Far from it. Tolkien was no racist, despite the best efforts of some of his modern critics to portray him as such (some of which are hysterically puerile). Nor was he a British imperialist, as such. Undoubtedly he was an English nationalist. His lifetime’s work both academic and private was in some ways a celebration of Englishness. In the stories of Middle-earth he gave the people of England the mythology of their own that they lacked. However it eventually grew beyond him and beyond that simple original premise or impulse. It became a global mythology, something I think he perhaps later recognised. It was no longer simply the “Matter of England” but the property of readers across the globe. Yet he remained, as he was born, a late Victorian gentleman of the British Empire. It shaped his views, his likes and dislikes in equal measure. That he could grow beyond them, that he could see England as an entity in its own right, free of the colonial possessions and peoples on whose suffering it had risen to the status of empire was itself remarkable. How far that truly went is now probably beyond recovery. Certainly we know Tolkien’s repeated disdain for the imperium he grew up in. However in large part it was because he felt it had eclipsed his true nation: England. In Tolkien’s eyes, for at least a period of his life, England was as much a prisoner of empire as Ireland. For that reason J.R.R. Tolkien, the quintessential Englishman with his quintessential (and typically paradoxical) English views of Ireland and the Irish, will remain one of my favourite writers. The English didn’t abandon their traditions; they were lost in the horror that followed the Norman/ Breton/ French Conquest of 1066. Fair point, Angeln, though one most contemporary English people are unaware of. Knowledge of the complete sea change in “Englishness” in the aftermath of the Norman-French conquest of 1066 (and in the years that followed) is something that is sadly lacking from English popular imgaination. Something that clearly pained Tolkien even in his own time. If English nationalism could divorce itself from the existing association with the far right and Neo-Nazi elements in British society, with a greater emphasis on language and culture, I’m sure it would flourish. There is after all much to celebrate, from Beowulf to Alfred, Hereward the Wake to Robin Hood, Levellers to Fabians. Hi Peter, I will write a post in the next week or so and mention this. Thanks for the update..
Just posted it. Best of luck with the festival. It is always amazing when people starts talking about Tolkien and LTR to Irish people. Actually, there is almost no connection. How do you mean, Giovanni? Is é is dóigh liom nár thaithn an Ghaelainn le Tolkien, ó thaobh na fuaimnithe agus an ghramadaigh. Fear neamhchoitianta ab ea é, go raibh ciall do theangacha aige, fé mar a bhíonn ciall do bhia ag an ngnáth duine. Do bhain sé triail as an nGaelainn, ó SheanGhaelainn go dtí an teanga atá againn inniu agus níor thaithn sí leis, ní thaithn “blas na teangan” leis. Níl aon rud eile sa scéal im’ thuairim. Caithfead a rá gur teanga ana-dheacair í an tSeanGhaelainn, deireann saineolaithe teangan gurb iad na teangacha Ind-Eorpach is deacra an tSeanGhaelainn agus an tSanscrait, agus dá bharr san ní chuireann sé an ionadh orm gur theip sé ar Tolkein í a dh’fhoghlaim. Má léann tú seanscéal na Fionlainne, chífir go bhfuil ana-thionchar acu ar a shaothar (gan trácht ar an dtionchar atá ag an bhFionnlainnis ar an dteangain “Quenya”), aontaím leis an bhfear féin ná fuil blas ceilteach ina scéalta ach uaireanta. Gabhaim pardún agaibh *seanscéalta na Fionlainne. Thanks for the comment, londubhbeag. Forgive the English reply. I’m sure some of Tolkien’s unhappiness with the Irish language was simply a matter of taste though that explanation can only go so far. Indeed given his love of Welsh it is strange that a not entirely dissimilar Celtic tongue should have proven so repugnant for an accomplished linguist. Even more so in the Old Irish form with its distinctive sounds. I’ve read some Finnish mythology but I have not detected the overtly “Celtic” qualities found in Tolkien. However I certainly don’t believe one should go overboard in applying a Celtic foundation to his legendariurm. It was much more complex than that, a synthesis of many influences and some original creativity and it would be unfair to argue otherwise. No worries! It’s nice to talk about Tolkien in any language. It doesn’t really surprise me that Tolkien would like Welsh and not Irish. Although they are both Celtic they are not really that similar, they are further apart than English and Icelandic for example (they diverged earlier), with quite different phonologies. I could easily see somebody liking Icelandic and not liking English or Danish for example, because they don’t have the same soft sounds and inflecting grammar. Old Irish is quite different from Old Welsh, five cases versus one case, very different verbal systems. I would say Lord of the Rings and Tolkien’s works in general are essentially a “refined” form of Christianity combined with Germanic folklore (I’m ignoring the original stuff here concentrating on the influences). The entire early part of the Silmarillion is essentially a sort of Gnostic version of the Christian creation story. Semi-divine demiurgic beings create the world on behalf of and according to the plans of a distant creator. Gandalf for example is essentially an Angel (christian) who manifest in the form of a old man (how Odin/Wodin traversed the world). The Elves are very like the Ljósálfar from Germanic myth, but also embodying Christian ideas of the ideal state of man, I wouldn’t say they are similar to the Aos Sidhe or the Tuatha Dé Danann. Outside of this Germanic/Christian combination there are some elements from Greek myths, Iliad style heroism and “returning home” themes, in addition to some Finnish elements, especially the Kalevala. I would say Celtic myths come a distant fifth in terms of influence. I was under the impression that Old Irish and Old Welsh had very similar phonetic qualities? I think Tolkien stated that his dislike of Irish was in part derived from his view that it was an ugly language to the ear, less pleasant than Welsh or most Germanic languages. Tolkien’s Elves to me bear relatively little resemblance to their Scandinavian counterparts. Later Medieval elves perhaps would be closer in form and imagery (actually I think Poul Anderson captured that spirit better in “The Broken Sword” or even “Three Hearts and Three Lions”). However the ones they resemble the most are the Aos Sí/Tuatha Dé. I would agree that other sources are more influential in terms of Tolkien’s story and narrative. However in terms of the “feel” of Tolkien’s stories, what is argued to be its “Celtic” tone (or at least the 18th, 19th and early 20th century versions of it as found in English literature) is far more obvious. Of course that does not distract from Tolkien’s own imagination and creativity. He was the one who took Classical and Medieval tales, put them into a blender and came up with a sort of literary version of Joseph Campbell “Masks of God” or Robert Graves “White Goddess”, stories that resonated with readers because they were imbued with the essence of so many original myths. JRR Tolkien was a great writer. In the genre of Fantasy I’ve come across few who can compete and many who simply copy (in the case of Terry Brooks outrageously so). Apologies! I meant to answer this much earlier and forgot. Old Irish and Old Welsh would have sounded very different from eachother, especially the distinction between broad and slender consonants in Old Irish. 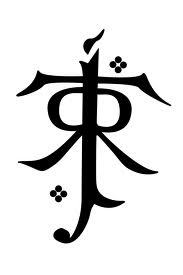 I think Tolkein’s elves most closely resemble Christian ideals of the perfect state of man. An Elf in Tolkien was essentially a human being whose “higher prupose” is to be part of the world, where as men are destined to leave the world and be part of its remaking. This is how I would view Tolkien in general, it’s like an alternate form of Christianity with Germanics themes mixed in. The Aos Sidhe for example, in most Irish myths (see for instance those told in “Le Gradam is Le Spraoi” from Cill Ghalagáin and Ceathrú Thaidhg, or some of the stories in the folklore collections from Mairtín Verling) are capricious and violent in a way I don’t think Tolkien’s elves are. Good point on the Christian influences shaping Tolkien’s elves. That Gemano-Scandinavian/Celtic rationalisation of “fallen angels” is perhaps applicable here too. Certainly Tolkien was unsure what the nature of elfdom was and kept reshaping it as his ideas grew and developed. Some of the capriciousness of the European post-Medieval elves can be seen in the earliest Tolkien writings and poems but he eventually dropped that. A bit more of it would have been a good thing. Poul Anderson understood the elves much better in many ways. His are far scarier than Tolkien’s. Thanks for the reference to Poul Anderson, I had never heard of him before! By Gemano-Scandinavian/Celtic rationalisation of fallen angels, do you mean how the Tuatha and that were rationalised in later traditions by bring brought into Christianity or do I have you wrong? Anderson and his novel “The Broken Sword” has a much more dour and “Northern” vision of Middle-earth and its elfin inhabitants than Tolkien. I love both though the former benefits from a more “genuine” sense of menace throughout that Tolkien lacks (or mimics less successfully). Yes, I meant the references to the Tuatha De/Aesir etc as “fallen angels” by Christian monks, along with other Medieval theories to explain away the previous existence of those once worshipped as gods by their ancestors in the Celtic and Germanic worlds. I have a bit about that here. Tolkien wrote the poem, Death of Saint Brendan, demonstrating an interest in Irish Celtic sources. And I’ve read much more positive Irish comments from him. He was a philologist and as such, Irish books are vital to him as they are to British and European libraries. I wouldn’t take a few letter excerpts from him as a theory of his prejudices. A linguist working on the cultures he was working on, and not speaking Irish is a wee bit embarrassing, ultimately. I imagine his dismissive quips about Irish not being pretty enough or worthy enough (or whatever his descriptions), are just deflections to keep him from having to say about himself, I’m not smart enough, or I’ve failed to live up to the expectations of my academic mission. He was ashamed or should have been, as a linguist unfamiliar with Latin or Sanskrit might want to be. He should have spoken Irish, as all English, British and European historians should be familiar with Welsh and Gaelic as a matter of course. Interestingly, he also hated being called an allegorist, yet he clearly makes allegories. Such was the same dismissive reflex he would use to put you off the scent of his Irish source materials, maybe. He was both allegorist and user of Irish sources. It’s a fact he hid, and denied, but not well. He was a victim of the politics of his day, as An Sionnach points out. Maybe one day, Irish will be viewed less as a threatening political ideology and more as a peculiarly old & rich key to understanding English language, British identities and European history, to say nothing of the value to the understanding of modern Irish society. Tolkien was trying to be Yeats, but he was much more Catholic and oriented on morality allegories to achieve that status. He wrote great children’s books. The Olympics opening ceremonies made much of British accomplishments in children literature. It is interesting to note parallels between Tarzan and Finn’s discovery of Ossian on Benbulben. Or the similarity of Peter Pan going to Tir na nOg or Neverland. Irish myth was everywhere in British publishing during the romantic era and from earlier than that. That the influence is denied, is similar to Heaney being called British or those inappropriate guffaws you here from people with Irish prejudices making themselves sound loftier via old cliches of condescension. It’s tough being Irish, they take your stuff with love, and hate you for it. Or worse, they pat you on the head. Fair points there. And I would note that Tolkien was not terribly fond of French, though he could speak it. The article is something I mean to return to and write with a little more nuance. Some of the points I was making were perhaps poorly worded. It was indeed Mr Richmond! Jack Richmond to be exact. I too sat rapt in his class listening his readings of The Hobbit. I went on to read the Lord of the Rings that year (maybe 1989?) And have had a love of Tolkien ever since. I believe Jack passed on a number of years ago. Think I can safely say best school teacher I ever had. I come late and by chance to this essay and discussion – but thanks. These are strange days again. Was it Tolkein – I should check – who wote of “legends rising from the grass”? ‘Britain’ in that quote above is a singular island, but even then, ‘English’ it is not, if by that we mean ‘ownership’. I guess Tolkein understood that. Wow, that was a fascinating read. I remember reading a few of Tolkien’s views about Ireland when I was 13 or so back in 1991 and being really disappointed that he thought our language was ugly as I spent the years between 1990 and 1993 absolutely obsessed by the man and his work. At the time I just accepted it as obtuse british nationalism – Tolkien couldn’t have made Bilbo Baggins more of a public school toff if he tried and even know, as an adult, it’s hard to read past the “brisithsness” effected by a lot of the characters. So I really found this paper interesting – thanks for such a cogent discussion on a rarely discussed aspect of Tolkien’s life. Thanks, Loughlin. The piece needs some updating, perhaps some more nuanced language, but it covers the main points I was trying to make. I suppose we are all products of our environment, Tolkien as much as anyone, though he perhaps rose above his somewhat. A sort of quiet counter-imperial English nationalism was mildly popular in his youth, linked to a European sense of shared Germanic cultural identities, though it only went so far. Tolkien supported “home rule” for Ireland but I’d rather not know what his views were on full independence, partition, etc. It might well be disappointing. The romanticist/folk movement that inspired him also inspired half the writers, poets, artists and dramatists of Europe during the late 1800s, early 1900s. It was good to place that in context. Hi Peter, the stories of the Tuatha Dé is a good place to start. That any help? I was under the impression that “Celtic Ireland” and “Saxon England” are nothing more than national myths themselves. DNA analysis has shown that the original “celts” were themselves largely Germanic and French from earlier migrations, and that the Saxons never displaced the indigenous populations. Also, Scotland and Ireland both have Nordic DNA from the Vikings. I have always found the Saxon myth comical because they were so easily defeated by the Vikings and Normans (don’t forget Charlemagne either). When one talks about “Celtic Ireland” and “Saxon England” one is of course discussing purely cultural and linguistic terms. DNA, biology, ancestry as such has very little to do with such broad, and simplistic, descriptions. The “original Celts” – again a simplistic term for the sake of argument – were an amalgamation of Neolithic and Early Bronze Age peoples living along the seaboard of western Europe, from Spain to Scotland, united by similar Indo-European dialects and customs. They emerged from a several communities and regions, not one. On your latter point. The “Vikings” were brought to heel to some extent in southern Britain, largely through a process of assimilation or hybridization. The Norman-French invasion, as the Norman-British invasions of Ireland, was a different matter since it was more “colonial” in nature than that waged by the Vikings. The Normans did not conquer to be assimilated by native populations, they conquered to assimilate the native populations. Mesolithichunter, apologies. I have only seen this Comment now. Yep, a scan of the dedication would be great if you could drop it to the email address for the website. Again, sorry the tardy reply. Thanks for this. I didn’t clock the Dunlendings until I was fully grown, and it disappointed me enormously. This has been enlightening. Sorry to chime in so late… Tolkien had a very strong, very intuitive sense of aesthetics, and it was also harsh at times. He could not stand the “mixed up” nature of Narnia, with legendary creatures from all times and places, even though it was a very medieval way to deal with legends. This hurt C.S. Lewis and caused a rift in their friendship, but he just could not like it. And if you deadening Tolkien, you can see why, even if you don’t agree (and I don’t). Irish medieval poetry is great, with its luxuriant feel and sound and imagination. But when you read Old English poetry or Norse stuff that Tolkien loved, you can sense why he liked them and hated the Irish stuff. Again, I like it all, but he was always going to think Irish stuff was spinach and yucky liver. Sometimes it gets so obvious as to be funny. Tolkien knew early on that some people just could not stand his writing; there was a guy in the Inklings who ultimately destroyed the group over his aesthetic differences. I don’t think he discouraged people from studying Irish stuff; he just had his own strong opinions. If “The Lord of the Rings/ Is just one of those things\If you like it, you do/ If you don’t, then you boo”, it is not surprising that a language or a literature could conflict so strongly with his own tastes and sense of the poetic. “Read enough Tolkien”, not “deadening Tolkien.” Arghhhh. The Magical characters in Tolkein’s Trilogy were up of the following way, Dwarves from the Scots, Hobbits from the Irish & The Elves were English. I wonder why Tolkien never visited Northern Ireland? Although C.S. Lewis was Northern Irish, would Tolkien have felt uncomfortable in the north due to the anti-Catholic feeling at the time. This thought came into my mind because of how Tolkien was a devout Catholic and I remember reading that when Lewis became a Christian again, he became Anglican and that didn’t please Tolkien. I think it was just a general disdain in the UK at the time for the north of Ireland. If you look back, between the late 1920s and early 1970s, very few people from Britain, in the government, the press, business or the arts, visited the region. It was a sort of culturally forbidding place. But the roots of the Irish mythological tales clearly predate any known astronomical events, with origins in the Celtic and before that Indo-European cultures. Not sure, having not read the book, how much contemporary Medieval events shaped the tales, beyond obvious stuff like the advent and filtering process of Christianity, local political and genealogical needs, the later Viking incursions and so on. A lot has been written about Tolkien and Lewis’ friendship. Some of it centres on the Christian aspect and is contradictory – that Lewis was practically RC due to Tolkien vs Lewis never entirely shook off his Ulster Protestant origins. I think sometimes dislike of a language can come from who you hear speak it, not their personality but manner of speaking. I’ve heard what I consider beautiful Welsh and hideous Welsh – they’re both out there. There are a number of different Irishes about (just as there are different Englishes). I’m not a fan of how Gerry Adams speaks Gaeilge, and I gather I’m not alone in that, and not for political reasons. I have also heard some Co. Donegal Irish which was extremely pleasant to my ear and more natural… closer to the Scottish Gaelic I’m more used to… then there’s the whole thing about civil service Irish but let’s not go there. Regarding Ulster Scots, which I’ve seen you post on a few times. It is a real thing, but as some pointed out, it is not the same as the official version. Real Ulster Scots has RC speakers, but it is more of a spectrum than anything else meaning merges into Standard English rather than having a sharp dividing line. Ulster Scots does have a genuine literature – mostly poetry – from the 18th & 19th centuries. So, yes it is a thing. I’ve heard it used myself by folk from both communities in the north – if we deride the colloquial, we are falling into a snobbery trap. (As you know, there are learners of various regional forms of Irish too. Some in NI prefer to learn Ulster Irish, or even to take on Rathlin or Antrim Gaeilge). I think Ulster Scots is a genuine part of Irish heritage – the bogus official version should be derided not the natural form. Yes, I’ve read those interpretations of their relationship too. Lewis was quite the paradox in terms of his faith and his nationality. A product of pre-partition Ireland on the latter question. Irish before British, British before Irish, Ulster before Irish, Ulster before British, and sometimes English (as most modern dramatisation portray him, stripping him like Oscar Wilde of his Irishness). As for Tolkien, it could be simply a matter of the author disliking spoken Irish, as spoken by certain individuals, but he was certainly exposed to different spoken and regional varieties of Irish, both in Dublin and Connacht. And his dislike seems to have extended to the written word as well as the spoken word. On Ulster-Scots, Irish-Scots, however one terms it. I’m not sure how different it is from Hiberno-English, in terms of dialectal uniqueness, when compared to British-English? It is a dialect of English, not like Scots-English/Scots which at least can claim some sort of semi-separate development from Old English and is probably deserving of the label of “language” rather than dialect (as in Danish versus Swedish and so on). I mean, if you took a traditional Munster Irish speaker and compared a traditional Ulster Irish speaker would you categorise them as speaking different languages or regional variations of the same language? Ulster-Scots falls into that camp when compared to English. A distinctive dialect and patois, yes. A distinct language, no. Yet that is the proposition from its supporters with their Tolkienesque letter and word ornamentation. Definitely, protect, encourage and foster Ulster-Scots. But not at the expense of creating an Ulsterised Middle-earth theme park. My main gripes with Ulster Scots are that a) it is being turned into a sectarian weapon and b) yes, that horrible standard version. But as I understand it, every single Celtic language has suffered from ugly standardisation attempts – even Cornish and Manx. AFAIK the situation is worst with Breton. In the ROI, the civil service has got hold of Irish, and bureaucratic language is usually hideous and stilted. So Ulster Scots has suffered from both a hideous standard (which is barely used) and official usage, which are bad news. A canna bide the sectarianism like… there is ample evidence of Ulster Scots speakers who are from a Roman Catholic background but they are airbrushed out. That is the danger. I’m sure one of the genuine US speakers I’ve come across was from such a background. A lot of the United Irishmen were also genuine native speakers of Ulster Scots, one of them writing poetry in it. It seems like all of this is getting buried. The exact same thing which has happened to Protestant Gaeilge is happening to RC Ulster Scots. Ireland is far more linguistically diverse than it is usually given credit for. In NI, I gather there are no less than three sign languages in use, BSL, Irish SL & NISL. I agree re Lewis. This kind of thing is common. Roald Dahl did have some Welsh identity – until recently airbrushed out. Byron had a light Scottish accent – he went to school in Aberdeen and his song “Lochnagar” suggests he felt Scottish. But when did you ever see that reflected on screen? I wrote about this in Carn magazine. Lewis had little or no Irish accent, from the recordings I’ve heard, but Celtic influence is all over Narnia, especially in “Voyage of the Dawn Treader”. Both Tolkien and Lewis were influenced by George MacDonald who was a Scottish Gaelic speaker, non-native admittedly, but who did have a complex relationship with Gaelic culture.